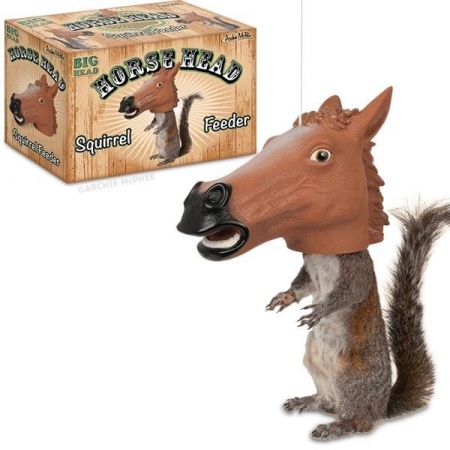 Feed squirrels out of a horse mask, with the Horse Head Squirrel Feeder, from Accoutrements. We all know how funny the Horse Mask is and how well it sells. Well, it turns out it's even funnier on a squirrel. 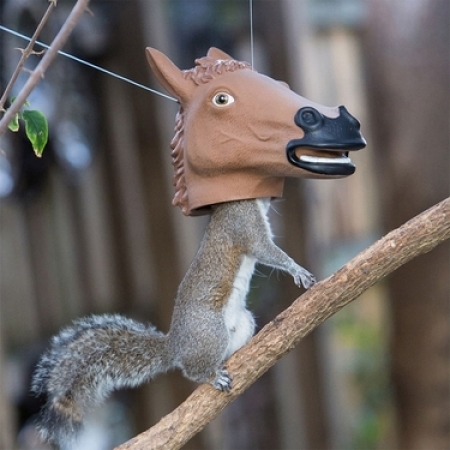 This hanging vinyl 6-1/2" x 10" (16.5 cm x 25.4 cm) squirrel feeder makes it appear as if any squirrel that eats from it is wearing a Horse Mask. You'll laugh every morning as you drink your coffee while staring out the window into your backyard.